A friend started talking about absolutes, again, and I’m not that into them. I like wiggle room, so to speak. Our talk started about truth, and absolute truths. Somehow, as I continued on my thread of thoughts, she said I proved her case for absolutes. This confused me so I went and installed some drywall to contemplate what to retort. 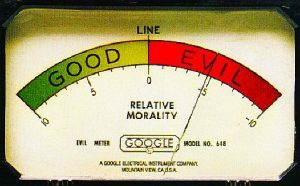 I returned to declare my disbelief in absolute truths and my adherence to moral relativism. Anyway, she know this and thinks I’m wrong. She tried to explain how I can be wrong by some crazy banana example. I won’t go into it, but neither one of us like bananas. As we discussed her point, I tried to expand the perspective of her truth. She wanted none of that and thought I was diverting. Which in a way, relativism does a lot of diverting, in a way. You see, people need to make decisions. And having ideas that are accepted as true, commonly amongst people, makes for easy communication and planning. But what about larger groups with more diverse thinking, this becomes major points of contention that can never be overcome. i.e. religion, abortion, taxes, etc. Everyone has a right to believe what they believe. No on is wrong, just different. We may not agree, and that is just something as mature adults we must accept. Some people just can’t accept that. They want everyone to get along and believe the same absolute truths. We battled on about the banana truths without coming to any ideas we both totally agree on. Am I being difficult, no, I honestly want to represent even .001% in the idea of absolutes. i figure the relativity is the most important part for me, not how you feel about it in making it absolute. And on this we agree to disagree. Or at least we just disagree, she still thinks I’m wrong. “If someone thinks otherwise, they are wrong. Which is a word you dislike.”, she says. And I don’t understand why she has to make someone wrong, it’s just different. “wrong, is when you are starting something yourself and other need to follow.”, I say. Then we started to ask what truth was. I started down this path, “can people accept other truths that contradict their own?” and she stopped me. “You believe that truth exists?”, she says. they are, what’s the word i always use, hypecritical.”, I responded. She asked if I was her friend, which I responded yes. “that’s a mutually accepted idea”, is what I added. “So if you stop being my friend–I am no longer yours?”, she says. “certainly becomes more difficult”, I say. “So then your position is that there’s no such thing as truth.”, she says. “only ideas that gather momentum and concensus”, I say. And that’s were we stopped on this day. to be resumed another, I hope.